Question: If the patient has a nasogastric tube, how do we assess that the patient is ready for oral feeding? Answer: The patient can be evaluated by a speech therapist and have a videofluoroscopic swallow study (also known as modified barium swallow study) performed. This study is done via x-ray while the patient is given different foods and drink to swallow that are mixed with barium. The barium allows the food and drink to show up on the x-ray and is not harmful. 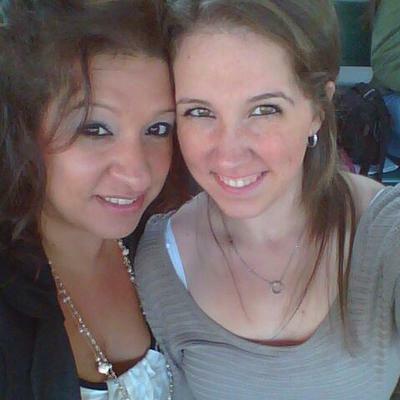 The speech therapist and M.D. can then determine if the patient is ready for oral feeding and if a modified diet is needed (i.e. thickened liquids, pureed food, etc.) The nasogastric tube will not interfere with the study. My husband had bleed on brain strike six months ago and is currently peg fed. He had his second video fluoroscopy last week and still cannot begin oral trials because of risk of silent aspiration. What are the chances of him getting his swallow back in future. He also has Parkinson's disease. Comment from stroke-rehab.com It is not possible for me to predict if his swallowing will improve. It's best to talk to the treating physician about prognosis. Parkinson's can also affect swallowing, so it's possible that is a factor in his recovery as well. Question:If you have a client who has a Goal of feeding himself with set up and supervision by d/c and he has had a R CVA, L flaccid hemiplegia with poor sitting balance, what would be some things to do with him to help him meet his goal? 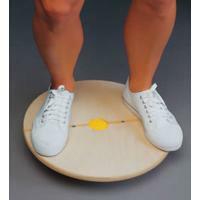 Work to improve sitting balance. I find that most patients can learn to sit up independently prior to d/c even with flaccid hemiplegia. 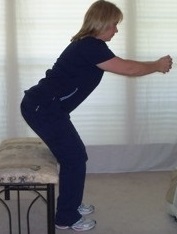 Any activity will be difficult if the patient cannot sit up so that is always one of the first things I work on. 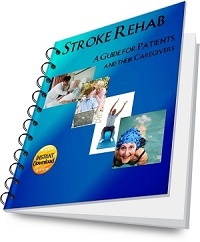 If the patient has had an extremely severe stroke and cannot sit up after extensive rehab, then you will need to make sure they are positioned safely in their w/c to perform feeding. If the patient is flaccid on their dominant side, they will need to learn to feed themselves with the non-dominant hand so actually practicing with the non-dominant hand is important since it will be awkward. Coordination exercises may be necessary if coordination has been affected. You may need a plate guard to keep food from spilling from their plate or even curved utensils if coordination is an issue. Another aspect of feeding involves making sure you educate the patient about pocketing of food on the weak side and how to clear the food with the tongue. If the patient has swallowing issues, the speech therapist can educate the patient on the appropriate techniques to improve swallow function. You will also need to make sure the patient doesn't have any visual field deficits or hemianopsia. If a patient does have these issues, then it is important to have them learn to scan further for food or to have the caregiver set the plate further toward the strong side in the patient's line of vision. Have the patient practice, practice, practice! I'll be subscribing to your feed and I hope you post again soon.Thanks for sharing. Valuable article and good coverage of many of the important feeding preparation issues. Feeding utensils are also an important issue. A useful source of realted product is found at Http://eating-help.com. Question: How can I reduce excessive drooling and cut down on thick mucous build-up? I would first try speech therapy or exercises to strengthen your oral motor control. If that doesn't work then I would talk to a physician or dentist about other options. Question: Are there any techniques to stop coughing when drinking? I know about using thickeners but wonder if there were drinking techniques? Answer: There are compensatory swallow techniques that speech language pathologists (SLPs) use with some stroke patients to improve swallowing. It is impossible to tell if the strategies are successful unless they are observed during a video fluoroscopy with a modified barium swallow so it is not advisable for an indivual to try strategies on their own. One should consult a SLP to determine which strategies to use. A SLP can instruct patients on what strategies may work and can verify that the strategies are successful through video fluoroscopy. Some common swallow strategies that are used are upright posture when drinking, small sips, no straws, chin tuck when swallowing, and alternating food with drink. There are also exercises the SLP can do with a patient to strengthen the muscles involved in swallowing. Aspiration occurs when liquid or food travel down the windpipe into the lungs rather than the esophagus. Aspiration can be silent without any symptoms, cause pneumonia, and can be fatal so it is very important to follow whatever precautions the SLP advises. Answer: This is really a question for a physician who deals with swallowing dysfunction as well as a speech language pathologist. I can give you some ideas of where to get information or where to search. Go to Clinicaltrials.gov and enter your keyword to search for clinical trials. Some keywords you should try (separately) are deglutition, epiglottis, and dysphagia. You can see all the current studies that are seeking participants. Once you perform your search, there will be a link toward the upper left corner to click that says "hide studies that are not seeking new volunteers", which will narrow your search. Go to Speechpathology.com to their askexpert page. You can scroll through answers to dysphagia questions, and you can also submit your own question. Hopefully, you can find a better answer to your question at one of these resources. Good luck and God Bless You! Where does food pocketing occur if you have left CVA? Question: If a client had a left CVA, where may pocketing of food occur? Answer: Typically, a stroke that occurs in the left side of the brain will affect the right side of the face thus pocketing would occur on the right. There are some exceptions to this though depending on what structure of the brain is affected. Question: My mother had acute stroke 2 months ago. She has thrush in her mouth and is refusing to eat. She has experienced small type stroke on her other side but nothing too serious and they want her to return to rehab. Rehab does not want her until she eats. She has very good return on her right side and is just on the verge of walking and can pick up her right arm. What do we do - should we put in a feeding tube? Answer: This is definitely a medical question rather than a physical rehabilitation question so I would tell you to consult the physician. Obviously you want to make sure she is getting treated for the thrush. If she is not getting enough nutrition, and the MD feels a feeding tube is appropriate, then I would follow their advice. An inpatient rehab will accept someone with a feeding tube, and the doctors can write orders allowing her to physically eat and only supplement with the feeding tube as necessary until she can tolerate fully eating by mouth. Question: My Dad had a hemorrhagic stroke five days ago. The neurologist said he would never be able to move his left side but within one day he was raising his left leg - still can't move his left arm but the medical team work with him everyday. His speech is better but I don't understand why he can't have one drop of water, his mouth is full of dead skin and he is so begging for water. The neurologist said if one drop of water reaches his lungs that he could get pneumonia. I don't understand, please explain. Answer: A stroke victim's swallowing can be affected, and some patients cannot drink any liquid because it goes into their lungs rather than their stomach. This process is called aspiration. Aspiration pneumonia can occur as a result which can be deadly. Varied sources report that 15-31% of stroke related deaths are due to aspiration pneumonia so it is very serious. Please do not give any liquid to your father without being instructed to do so. The hospital should have special swabs that can be used to moisten his mouth/lips. You could also request that the MD write some type of order for staff to address your dad's oral care at least twice a day if you feel that it is not being done. One of the risk factors for aspiration pneumonia is bacteria in the mouth and poor oral care so it is important that they are cleaning the oral cavity. The swabs mentioned above do not clean the mouth. They only provide moisture relief. The moisture relief will help with the dryness, but make sure that oral care is taking place as well. If you want to learn more about it, you can do an online search of oral care and dysphagia or oral care and aspiration pneumonia. Question: My mother had a left brain stroke with aphasia 2 1/2 months ago. She has her mobility and still attends speech and language therapy, however, she barely eats. She says she is not hungry and has lost 35 lbs. in 2 1/2 months and is extremely tired all the time. Recently, she went back in the hospital for a day for dehydration. She says there is no issue with swallowing (was tested for this) or metal taste in the mouth. How do I get her to eat? What do I do to help her get some calories, nutrients in her body and gain weight? Everything I have tried she will take a bite of. Answer: There are shakes such as Ensure and Boost to help those who need more nutrition. There are also protein packets or liquids that can be added to drinks. I would seek the help of a nutritionist who can give you some ideas of some higher calorie foods or supplements that can be used. Plus, a nutritionist could help you know what foods to avoid that would not be good for her due to health conditions (thought this may not be as important since she is barely eating). I would focus on higher calorie foods like avocados or peanut butter rather than a larger quantity of food. You could also talk to her MD to see if an appetite stimulant might be appropriate or to find out if any of her meds are affecting her appetite. Question: What food should the stroke victim never eat? Answer: Some people who have had stroke have other diseases or complications that would prevent them from eating certain types of foods. For example, a diabetic wouldn't want to eat sugary foods or someone with dysphagia or swallowing problems may not be able to eat certain foods or drinks (or may not be able to eat at all) due to aspiration risks. If someone does not have any precautions/diseases that prevent them from eating certain types of food, then the best recommendation is to eat healthy foods that decrease the risk for stroke or cardiovascular disease. Nutrition guidelines have been set up by the American Heart Association and can be viewed at: http://stroke.ahajournals.org/content/31/11/2751.full. It may be okay to splurge on an unhealthy food on occasion, but it is best to follow healthy nutritional guidelines to help decrease risk of another stroke.